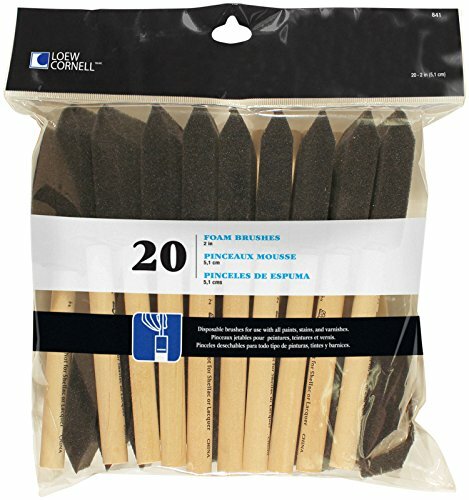 Loew Cornell 20-Piece Foam Brush Set is ideal for the beginning, intermediate, and advanced craft painter. Set includes 20 size 2-inch brushes, with short wood handles. For use with acrylics. They really are a great brush my husband and son use them all around the house for touch ups!